Contents: 30ml/ 1.01 fl. oz. 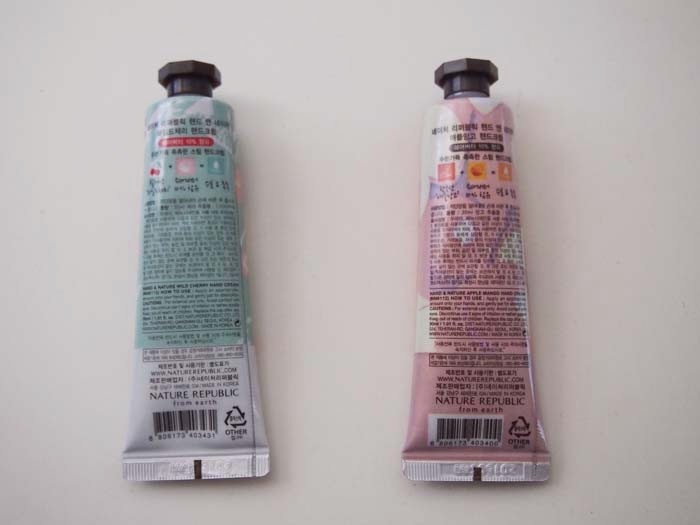 Packaged in a sturdy plastic tube with the label printed on the plastic (as opposed to having a sticker or being painted on... like Innisfree's hand cream). Application: Apply an appropriate amount onto your hands, and gently pat for absorption. Apple Mango: Smells delicious! Definitely has more of an over-powering mango scent and a tiny hint of apple at the end. It probably smells distinctly different compared to the pure Mango one, but it definitely smells like mango more than anything else. Wild Cherry: I love this one so, so much! 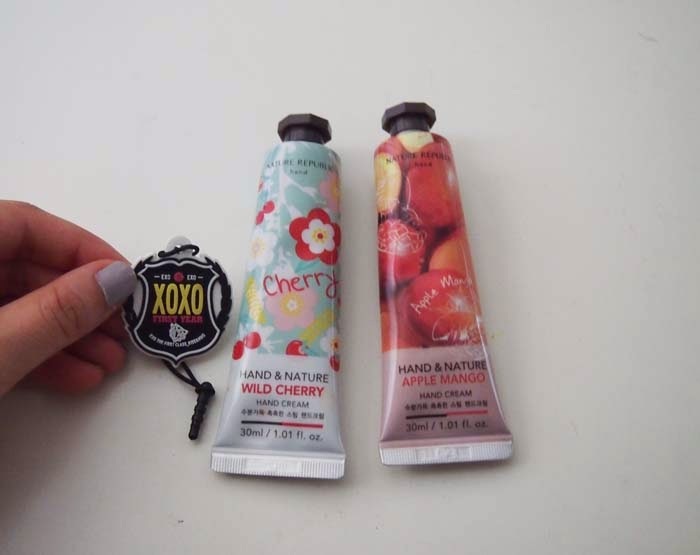 Not only is the packaging adorable with pink, white, and red cherry blossoms and cherries, it smells divine~ It's got that artificial cherry candy/ medicine smell (which I enjoy a lot). I wish I purchased more varieties of these hand creams! 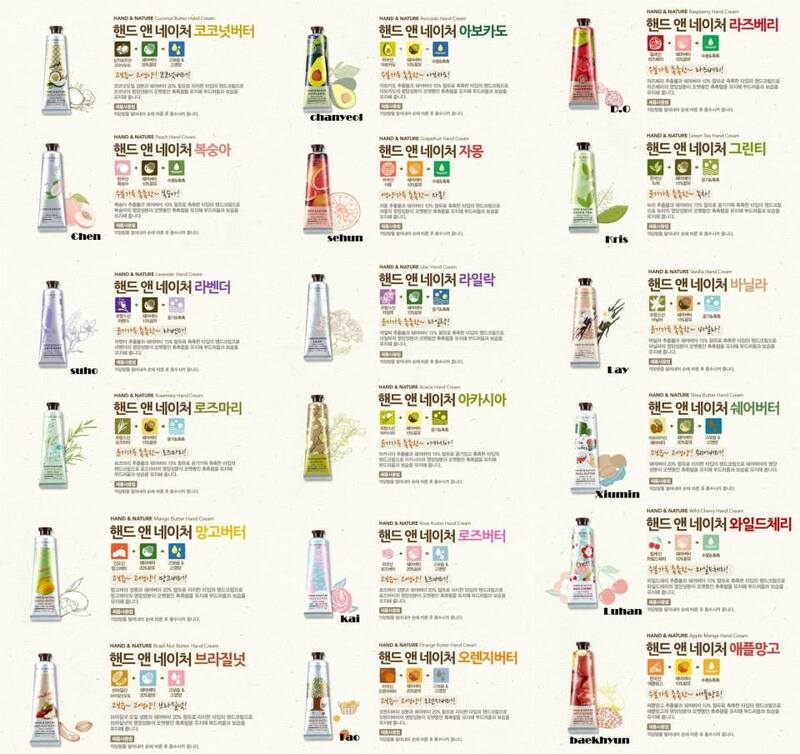 I'm intrigued by Chanyeol's Avocado one, Sehun's Grapefruit, and D.O's Raspberry. I think they are worth the purchase if you are a hand cream enthusiast. Or want to support Nature Republic x EXO. 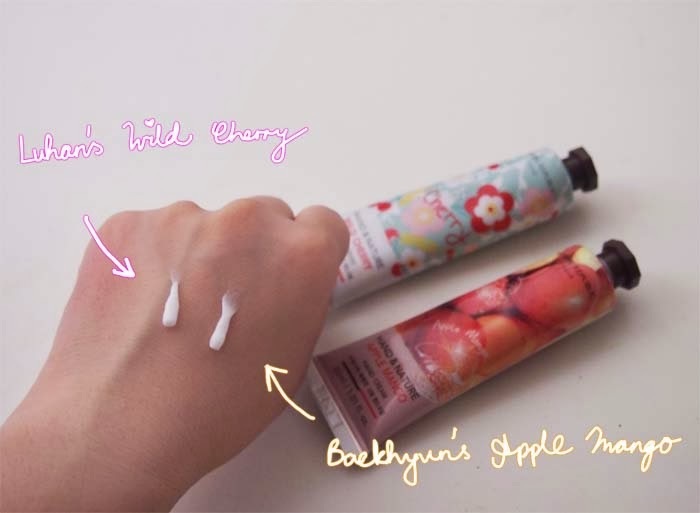 Thank you EXO for introducing me to these hand creams... though I probably won't get your lip balms as tempting as they may be. Love love love <3 Can I get all of these please? I finally quit my job at the hobby store. It was quite sad. I'll miss checking out all the anime figures we had, especially the Madoka and Nekomura Irhoa ones. But I don't miss people judging my Gundam/ K&S/ Airbrush/ diecast aircraft/ car/ train knowledge. Dude, what if I judged your pixiv/ Touhou/ NND knowledge? ?